1. 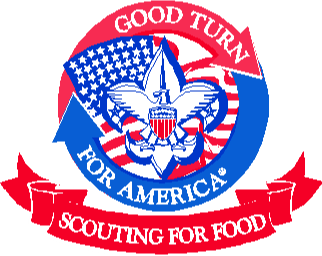 Unit Scouting for Food contact person registers unit to participate via e-mail to DulaneySFF@gmail.com. 2. Units choose a geographic area in which to distribute bags at Dulaney’s February District Roundtable meeting, on 2/12/19 at Timonium UMC. 3. Collected food items are taken to a pre-arranged local food pantry, feeding program, or food bank and results reported to DulaneySFF@gmail.com. We need Bag Count, number of scouts, and adults involved in distribution and collection, and approximate number of service hours for the unit. Let’s make 2019 a banner year for Scouting by helping our families in need! For additional information, please e-mail DulaneySFF@gmail.com.